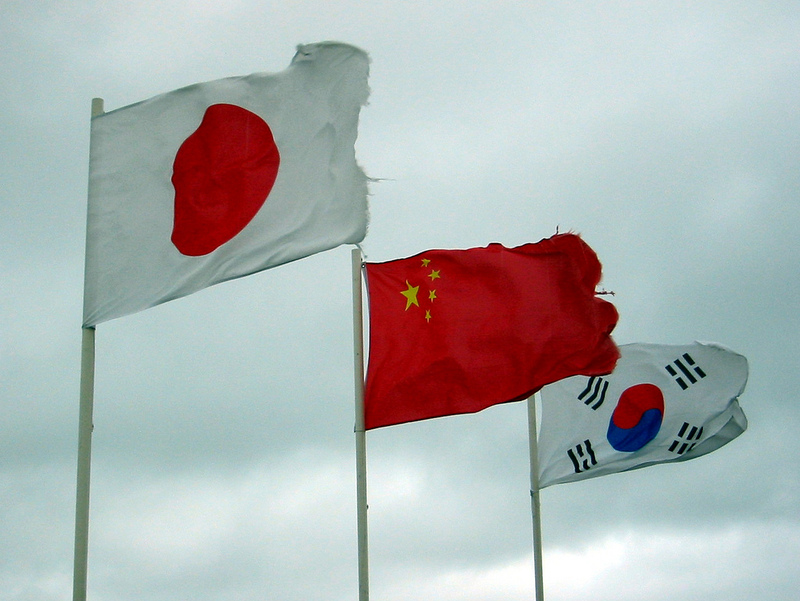 Northeast Asia is a region of crucial importance, from a strategic and economic point of view. East Asia is home to one fifth of the world’s population, and some of the global economic powerhouses. In particular, the second and third world largest economies, the People’s Republic of China (PRC) and Japan, are located in Northeast Asia. The region may subsequently be characterised as one of crucial importance for international affairs not only for the size of its economy, but also from a strategic point of view. In this area, North Korea in particular has been in the limelight during the past year due to its aggressive nuclear program and tests, which resulted in strategic and diplomatic tensions. This country, however, is not the only cause for disputes in Northeast Asia. The whole region is deeply divided in terms of culture, ideology, and politics, resulting in some cases, in inter-state relations characterised by “hot economics, cold politics”. Although current tensions in East Asia are considered of increasing importance by the international community, many of the Northeast Asian divisions and rivalries are primarily fuelled by historical roots. Amy King and Brendan Taylor identify a “history spiral” in this region: a competitive approach to “re-remembering” and rewriting history, common to all regional actors. The lack of effective international multilateral organisations is a further reason why this region is “ripe for rivalry”. Therefore, the purpose of this series is to explore the national perspectives of Northeast Asian countries. Understanding what Pyongyang’s priorities are, how Japan sees itself, what worries China, and where do the differences between Taiwan and China come from, can help to understand regional disputes as well. In the first article, Ashley Ryan takes us to Pyongyang, where the North Korean thought and perspective on international affairs is unveiled. She analyses the strategic thinking of Kim Jong-un and explains what is the ultimate goal of Pyongyang, arguing that what North Korea has been doing so far is both rational and coherent in strategic terms. In the second article, Andrea Fischetti explains why Japan is a pacifist country, and how Japan’s pacifism affects Tokyo’s approach to disputes with its neighbours such as China and South Korea. According to Fischetti, the post-war period largely shaped culture and society of Northeast Asian countries, and the differences in culture and society now encourage rivalries as countries have different perspectives on the same issues. In the third article, Dean Chen explores the Taiwan issue and the nature of cross-strait relations, analysing Taiwan’s national perspective. The author argues that Taiwan and China have mismatching identities, which from an ontological security perspective, results in a rivalry characterised by misunderstandings. Lastly, in the fourth article, Riccardo Cociani analyses the strategic and political challenges that the North Korean tensions pose to Beijing. Adopting a Chinese perspective, he explores China’s approach to tackling these challenges, with an eye to regional security. This series offers a unique opportunity to explore the ideas and points of view of some of the main regional actors in Northeast Asia. Thanks to Ryan, Fischetti, Cociani, and Chen, these different perspectives come together in one place, and all contribute to further our understanding of Northeast Asian rivalries. Dreyer, J. T., 2014, pp. 326-341. Dreyer, J. T. (2014) China and Japan: ‘Hot Economics, Cold Politics’. Orbis, vol. 58, no. 3, pp. 326-341. King, A. and Taylor, B. (2016) Northeast Asia’s New ‘History Spiral’. Asia & the Pacific Policy Studies, vol. 3, no. 1, pp. 111–119.